There are now three battalions of the advanced Russian air defense system stationed in the Crimean peninsula, which is a major strategic strongpoint for the military and the home of Russia's Black Sea Fleet. 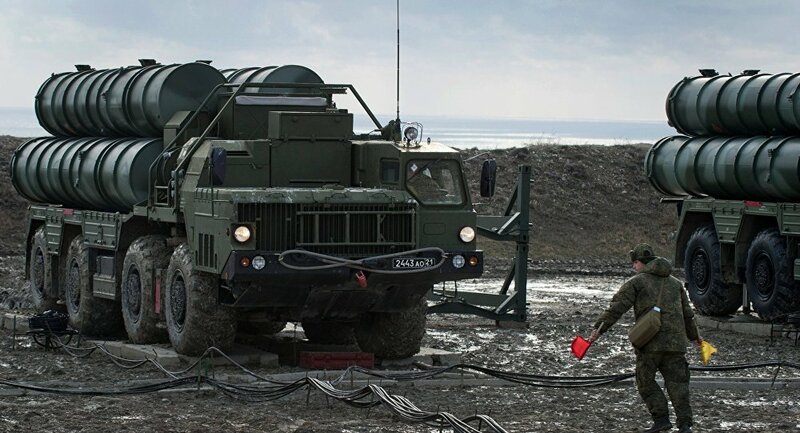 The third battalion of eight launchers, 112 missiles and command and support vehicles has been deployed in Evpatoria in western Crimea, the press service of the Black Sea Fleet confirmed Friday. Later in the day, a military source said that a fourth battalion would soon be deployed outside the town of Dzhankoy in Crimea's north. S-400s were earlier deployed to Feodosiya and Sevastopol in January 2017 and 2018, respectively. The S-400 Triumf surface-to-air missile system is Russia's latest generation mobile air defense system. As of 2016, at least 312 S-400 launchers were deployed across 39 regiments. The S-400's missiles are capable of targeting enemy aircraft, drones and cruise and ballistic missiles at a range of up to 400 km. The Russian military has put considerable emphasis into beefing up Crimea's defenses since the peninsula voted overwhelmingly to break off from Ukraine and rejoin Russia in 2014. Military observers say the peninsula's anti-air and anti-ship defenses effectively allow Russia to secure the airspace and waters across virtually the entire Black Sea. In addition to the S-400, Crimea's air defense troops are armed with the S-300P, Buk-M2, and Osa missile systems. China and Belarus also operate the S-400, and Turkey, India, Saudi Arabia, Morocco and Iraq have expressed an interest in the system. On Thursday, the US Treasury slapped China with sanctions over its purchase of a battalion of S-400s earlier this year.